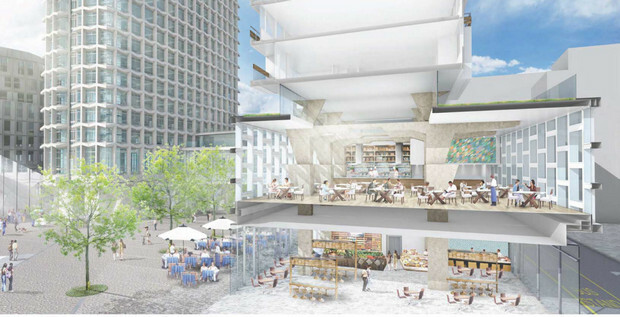 Centre Point redevelopment plans announced – luxury penthouse ahoy! 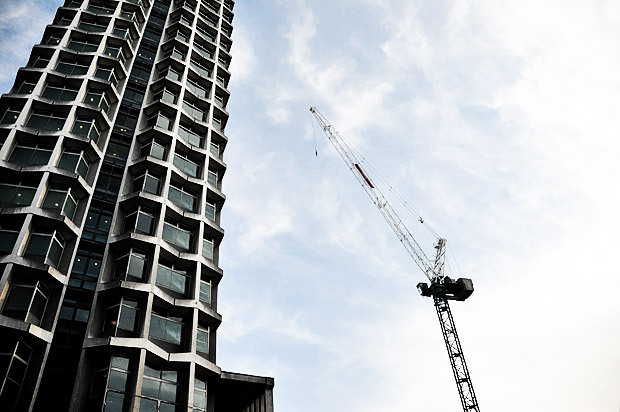 The 34-storey, 1966-built tower occupies a prime location, situated close to St Giles Circus at the eastern end of Oxford Street in London’s West End, and right next to the new Crossrail station under construction. 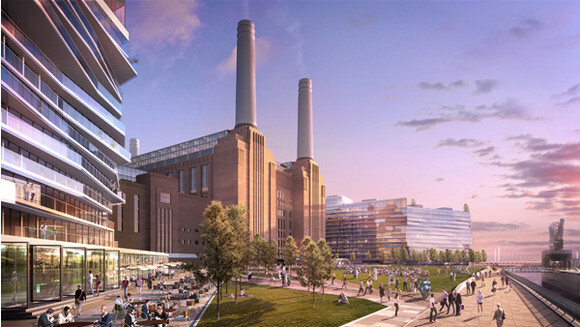 Almacantar bought the grade II-listed tower out of administration in April 2011, and have high hopes that their plans involving Rick Mather Architects, Conran & Partners and landscape architects Gillespies, can get underway was swiftly as spring next year. 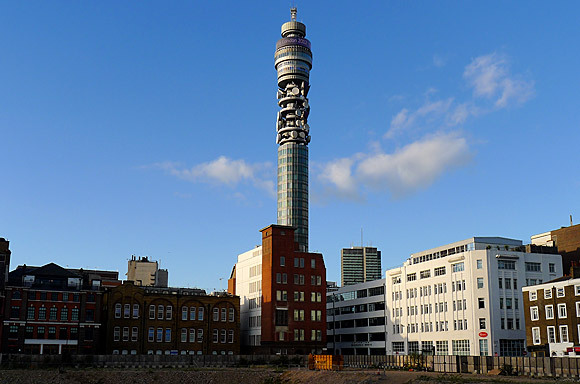 The property covers around 244,000 sq.ft and includes Centre Point Tower, Centre Point House and a glazed bridge linking the two buildings. 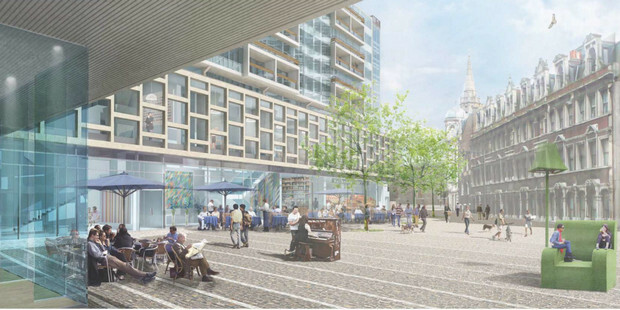 The scheme, expected to cost £350 million in total, will see 82 flats being built, including the inevitable double-level penthouse apartment for some rich oaf, along with a piazza and courtyard at ground level, said to be large enough to rival Covent Garden. Unsurprisingly, I can find no mention of any provision for social housing in these proposals. 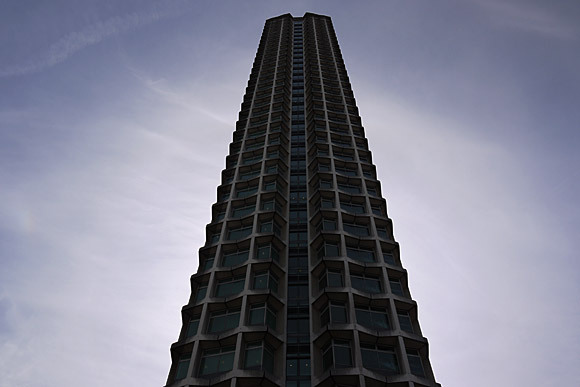 Read more about the interesting history behind Centre Point here: Centre Point Tower, London – An architectural icon from the 1960s. (PS Social housing does not mean “giving away” flats). I love this building, and quite glad there’s a move towards residential high rises in the centre. 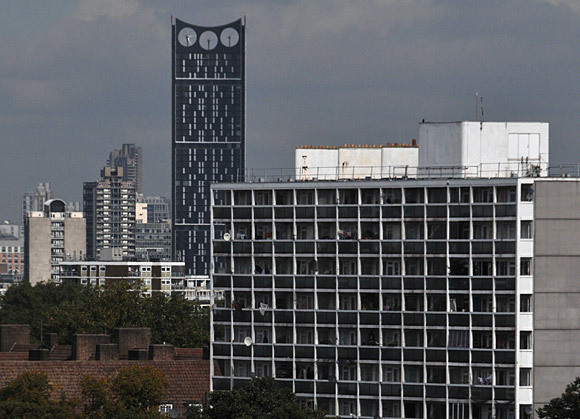 I really don’t understand why there isn’t move developments of tall buildings near the centre. With rents as high as they are surely it would be profitable to build some similar sized buildings say near Euston or Kings Cross and help stop the conversion of Victorian family homes into flats. I’m moving to London from the states with my wife in a month (if she gets the visa) and it looks like I’ll have to fork out somewhere between £1k-£1.25k for a 1 bedroom flat in Brixton or Whitechapel while if I lived in my parents town in Yorkshire we’d be paying something like a quarter of this. 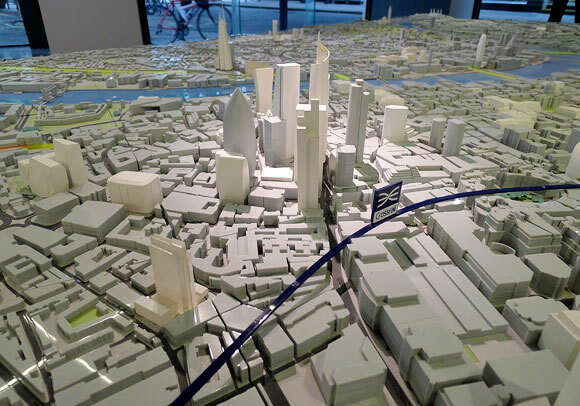 I don’t mean to suggest high rises on the American city model which crowd out light in the centre, but surely London could do with more centre point sized residential buildings near the centre, not just in places full of bankers like Canary Wharf. The few really big complexes of residential flats in the centre and really popular, the Barbican flats sell for amazingly large amounts. I’d be interested to know the reason why developers haven’t build more like this, if it’s just a cultural thing about high rise living in the UK or planning restrictions or what. Hello Sean, couldn’t agree more, I was born and raised in London, but once I went to American cities I kept asking myself the same question. I can’t see how making the Euston road or Tottenham Court Road like the Chicago near north of New Yorks Upper West Side is problematic. 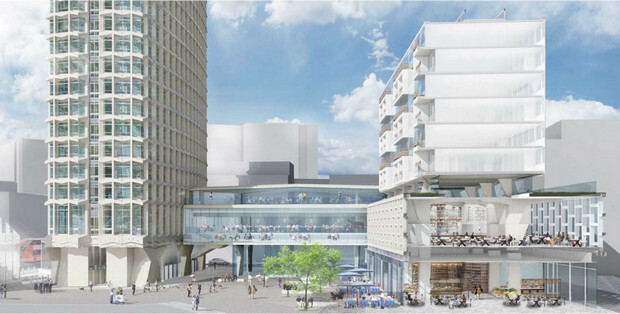 Demand is definitely there and if planned properly would be a pleasing addition to the London skyline. Guess a lot of Brits are very conservative..
From the looks of things, it looks like the new Intrepid Fox could be under threat. I doubt very much the new scheme will have a place reserved for a Goth/Metal pub like that. The original Intrepid Fox, a pub that dated back a couple of centuries, was forced out of it’s original location on Wardour Street as the building was under threat of redevelopment. 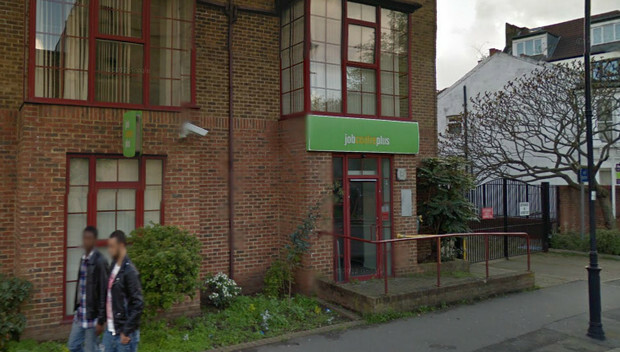 But once they were forced out, the building just went to a middle-class burger restaurant business. Much as I like urban renewal, when it’s done like this, it destroys local character in favour of bland middle-class ‘style’. Hey sorry to interrupt you. I am wondering if you still remember where to find the proposal that you mentioned above. I am currently working on a research about conversion. Thank you very much.